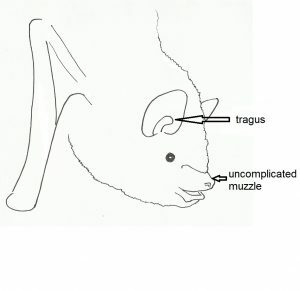 Vespertilionid bats have an uncomplicated muzzle and an appendage or flap of skin outside the ear that is called a tragus. This flap of skin is important for determining the vertical position of prey during foraging. 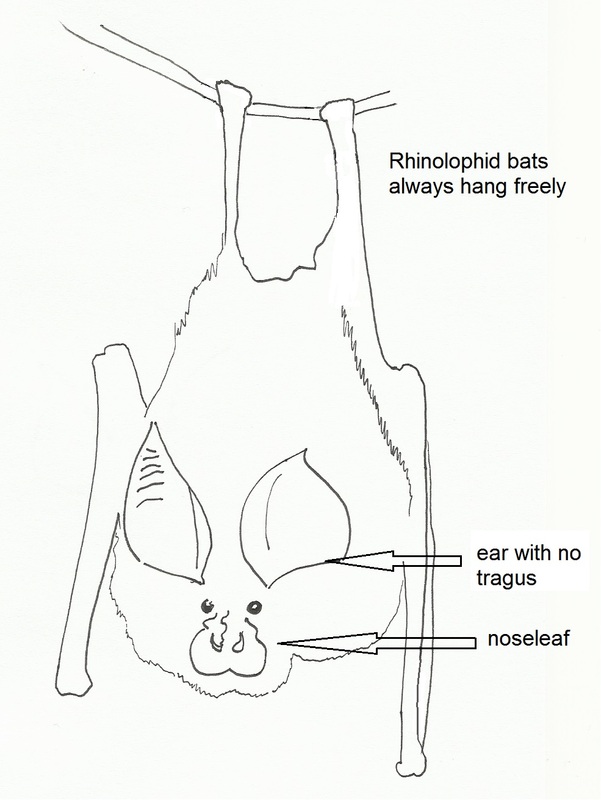 The Rhinolophid bats have a more complicated muzzle with multiple flaps of skin called a noseleaf that form a horseshoe shape around the nostrils. 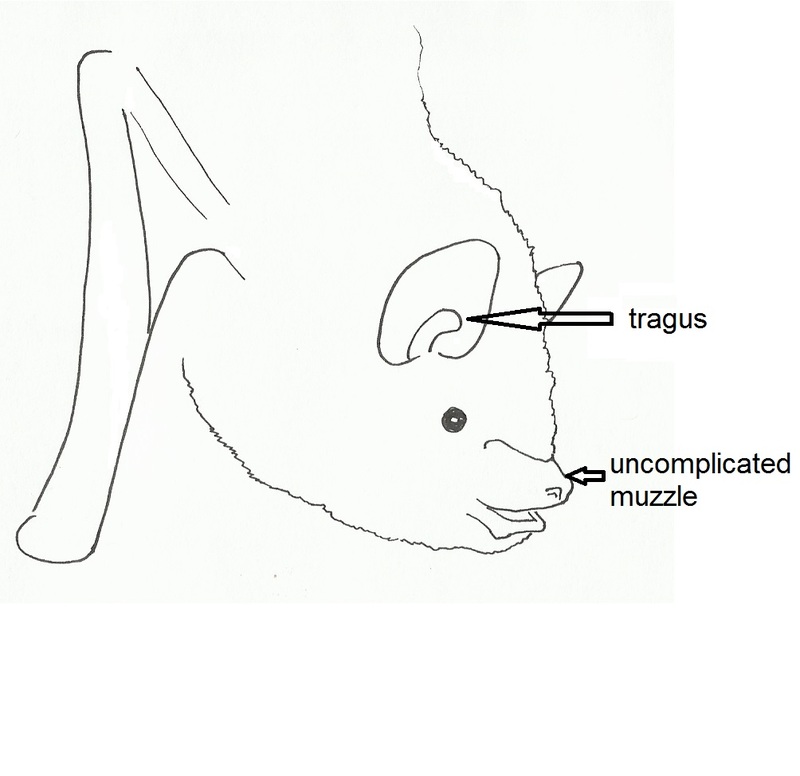 These bats focus their echolocation calls through their nose. 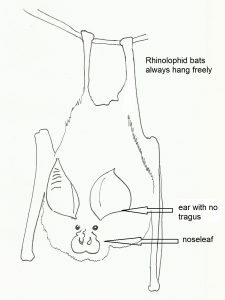 Rhinolophid bats also hang freely in the roost and are unable to land and crawl, unlike the other Irish bat species which can. One individual each of Brandt’s bat and the greater horseshoe bat have been also found, the Brandt’s bat in Wicklow in 2003 and the greater horseshoe bat in Wexford in 2013. Both species are likely to be vagrants since there is no evidence of additional specimens.